Œufs Cocotte, baked or shirred eggs are so simple and versatile, you can pretty much satisfy everyone’s taste in one pan! How often can you say you made 12 different breakfasts in one humble muffin tin?!? Preheat oven to 425. 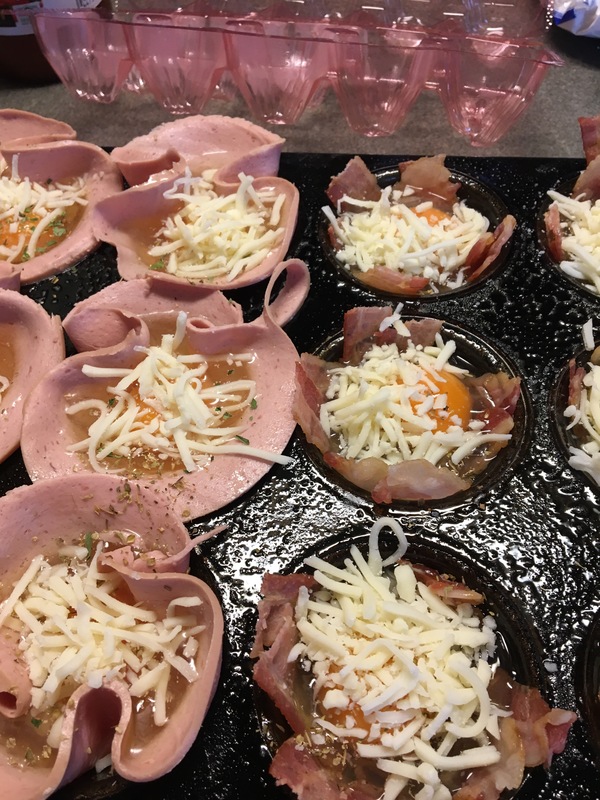 Spray standard muffin tin with nonstick spray; line each cup with meat, pushing down to creat a cup for your egg. Crack one egg per meat cup; place vegetables on top, if using, sprinkle with herbs, salt and pepper. Top with spoonful of tomato sauce then sprinkle grated cheese over top. Bake for 18-25 minutes, or until eggs are cooked to your liking. 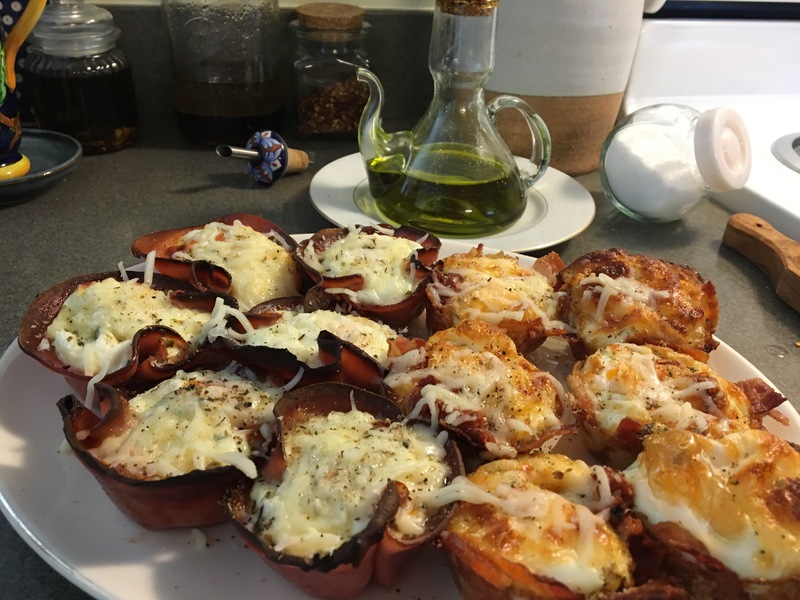 Alternately, you can scramble the eggs and pour into meat cups, bake as directed above. You can omit meat all together, and line muffin cups with shredded vegetables: potato, carrots, butternut squash, used separately or tossed with finely diced onion and pressed into cups. 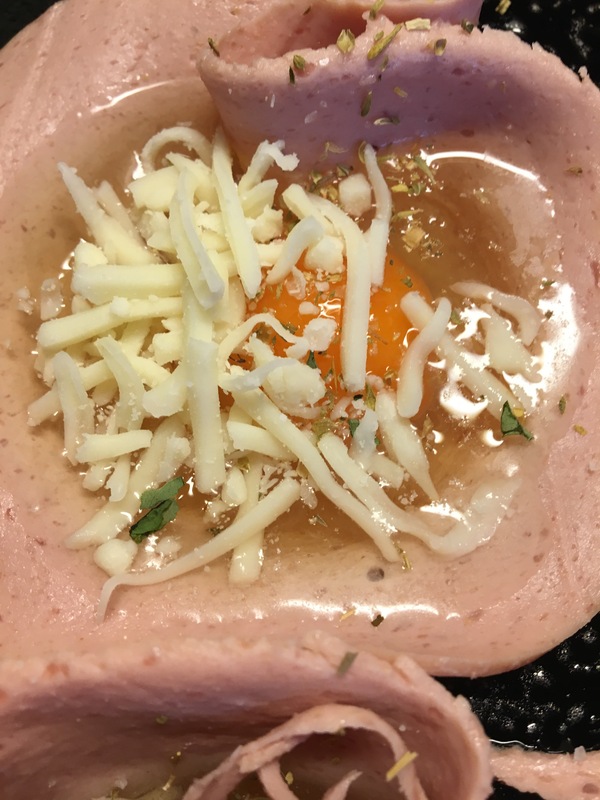 You can also use a ramekin, using two eggs per cup… Endless possibilities!